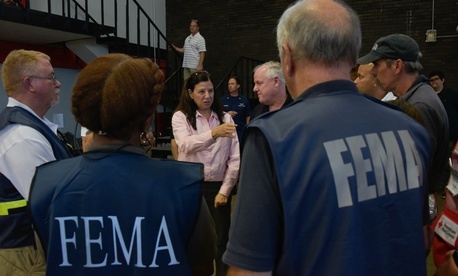 The scrutiny FEMA faced following Katrina brought about some welcome changes to the agency’s approach to fraud mitigation that it implemented after Hurricane Sandy in late 2012. For example, it is estimated that 10 percent to 22 percent of Katrina assistance was at risk of being improper or fraudulent, while only about 3 percent of financial awards for Hurricane Sandy victims presented that risk. This was the result of additional oversight and verification of information from applicants in the aftermath of Sandy. As FEMA prepares to dole out hundreds of millions in disaster relief, there are a few key considerations related to fraud that the agency would be wise to keep in mind. Risk-based decision making is vital. The federal government is moving toward a more risk-based approach to managing fraud following enactment of the 2016 Fraud Reduction and Data Analytics Act, but this approach is even more vital in a post-disaster environment. In an emergency, fraud risk thresholds are higher, and balancing the tradeoffs between requiring more validation information from victims and getting the relief funds where they are needed as quickly as possible is a challenge. FEMA should identify the most vulnerable processes (the easiest to exploit by fraudsters) as well as the largest expenditure areas by dollar, and focus its fraud monitoring and oversight on those highest risk, highest impact areas. Fraud comes in many forms and from many entities. Fraud can and does come from every area to which FEMA directs funding. That means the risk should be considered when selecting contractors and working with third parties of all types, including insurance agents, builders, debris removal companies, victims, and individuals posing as victims. Close oversight of the highest risk transactions is paramount. Interagency collaboration and information sharing is key. Multiple agencies, including the Department of Housing and Urban Development, the Small Business Administration, the Commerce and Health and Human Services departments, will all be providing relief funding or support. It is not uncommon for applicants to improperly take advantage of multiple relief programs with overlapping benefits. Sharing information on applicants can help prevent double dipping. Integrity monitoring must be effective. A robust integrity monitoring system is vital to provide careful oversight of transactions and billing, and develop a transparent cost reporting system for the post-disaster funds. The integrity monitoring efforts following Hurricane Sandy experienced myriad challenges and FEMA must assess the issues and ensure the integrity monitoring program it puts in place following Hurricane Harvey is more effective. It’s not realistic to expect FEMA to tightly control every aspect of a disaster recovery operation, but it is important to incorporate lessons learned from past disasters. Balancing fraud prevention and quick provision of benefits is a daunting task, and building fraud risk management efforts into the operation early will have a direct impact on the amount of taxpayer funds that are diverted through fraud and abuse. Linda Miller leads Grant Thornton’s Fraud Risk Practice and is a fraud risk management subject matter expert. She is a former GAO Assistant Director, where she led the development of GAO’s Fraud Risk Management Framework.